Antique Silver TierraCast Large Bell Flower bead caps. You will receive 4 bead caps. Made in the USA by TierraCast. TierraCast beads and jewelry components are FDA certified lead-free. TierraCast is made from the Britannia pewter alloy, which exceeds both the CPSC standard and the new California law regulating children's jewelry content. 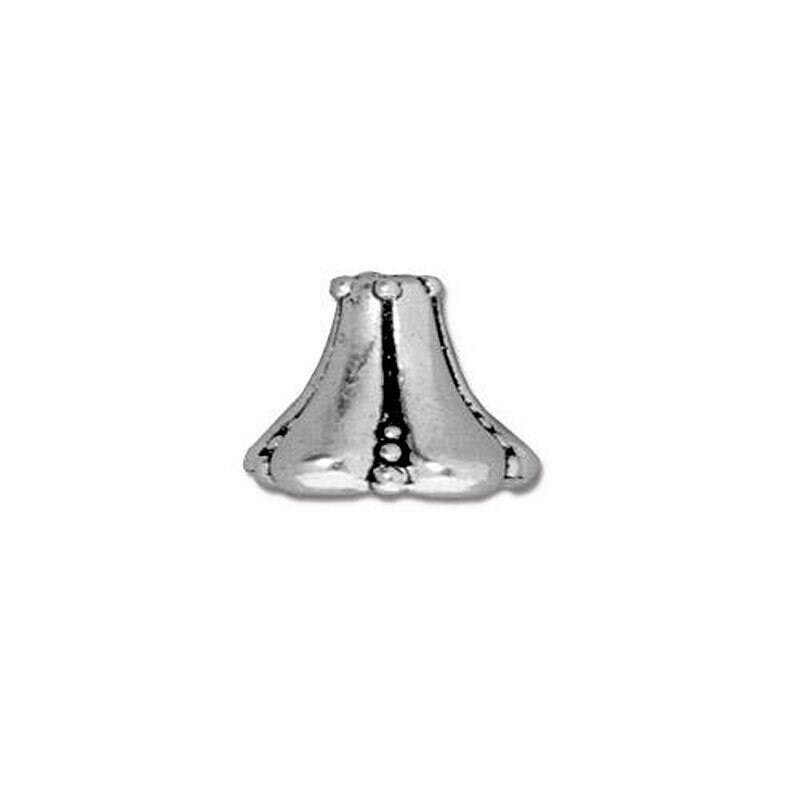 Britannia pewter is a culinary grade pewter which is safe enough to eat and drink from. TierraCast beads and jewelry components with the Antique Silver and Bright Silver finishes are electroplated with pure silver (also called "fine silver" or ".999 silver"). These finishes look exactly like sterling silver. These finishes, like sterling silver components, are susceptible to tarnish. However, they can be cleaned with a soft jewelry polishing cloth, or with a gentle liquid cleaner.